For today's Fabergé Friday we have a desk seal. Made sometime around the year 1900! The seal is carved out of a piece of rock crystal as a square-sectioned column with canted corners. From a gold border around the top hangs laurel swags of red and green gold. Each corner is set with a cabochon ruby. 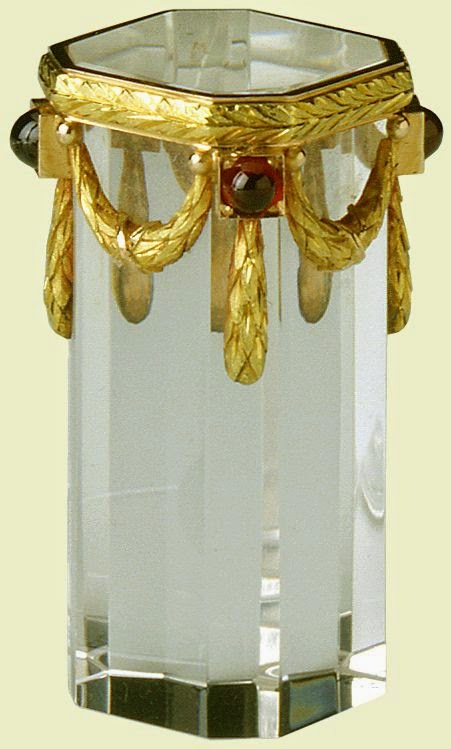 The desk seal was acquired by King Edward VII, and is now part of the Royal Collection.